An article about DataFromSky appeared in Czech e-magazine Svět-chytře. This online newsletter focuses on smart solutions in various areas, including smart businesses, smart cities and municipalities, or smart government. 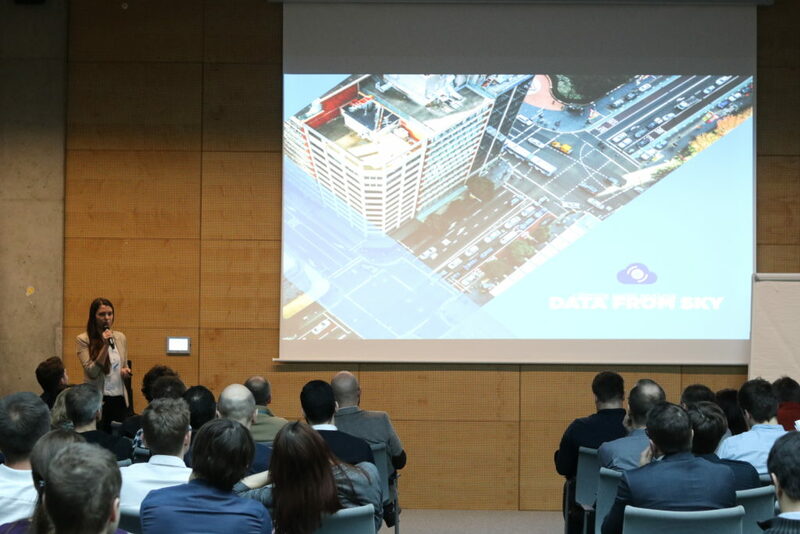 The article itself describes DataFromSky as a solution, which is often used to determine the traffic situation and evaluate the existing infrastructure, whether it is sufficient or not. Do you need a safety study of a particular traffic junction? 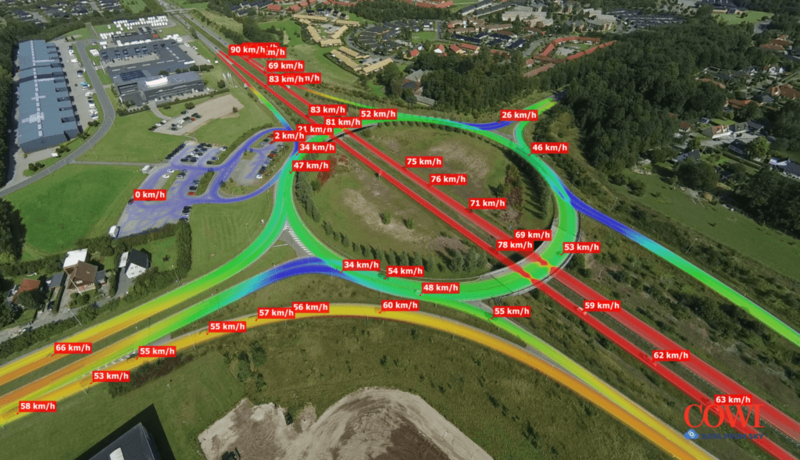 Do you want to know the capacity of the roundabout? Analyze peak hours and driver’s behavior patterns in these critical periods in busy road segments? Or monitor a risky behavior of drivers on highways etc.? The combination of drone technology for data collection and advanced video processing tool – DataFromSky – assists many users such as government entities and road agencies for effective traffic monitoring and management, police forces for continuous, precise and inconspicuous surveillance of the traffic situation, traffic engineers and many others. Because small UAVs can provide very good situational awareness from the bird’s eye perspective, it can be used in several situations in traffic monitoring, surveillance and control. Besides traffic, the list of potential uses of DataFromSky technology goes on and on. There is congestion monitoring during mass events, crowd control during the demonstrations and strikes, perimeter surveillance and much more. As the article summarize, our AAI (Aerial Artificial Intelligence) uses deep neural networks that are trained on millions of shots from junctions of all over the world, including Mexico, United Arab Emirates, the United States, India and other countries of the world. The machine learning is an ongoing process and the ability to automatically analyze and detect the objects in the video is constantly improved. Thanks to that, DataFromSky analysis reaches the accuracy over 98,5 %. For more information, read the full article (available only in Czech language). We are continuously working on traffic behavior analysis of traffic participants in surrounding of schools and kindergartens in Denmark. 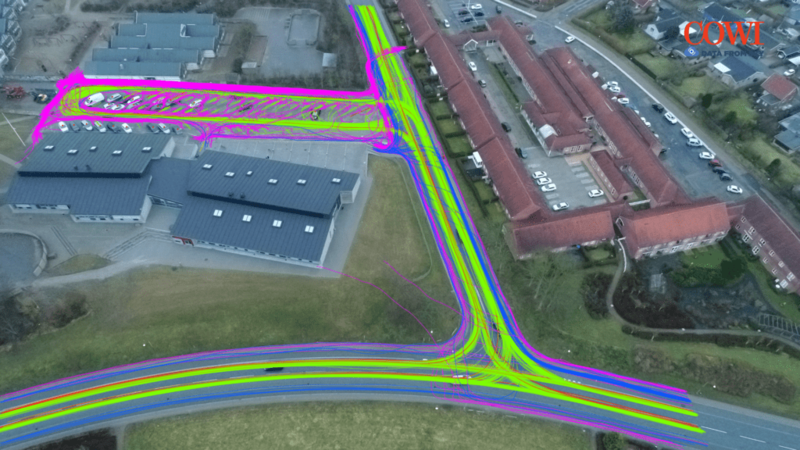 DataFromSky together with COWI has created another data-rich analysis of traffic behavior nearby a school in Vejle Municipality. The analysis maps traffic near the school during the morning rush hour when many students arrive at school at the same time. It also gives a complex overview, where potential conflicts between cyclists, pedestrians and cars may happen. Based on the analysis and its outputs, it is easier to formulate some changes which should be adopted by schools to protect the safety of schoolchildren. This analysis can also lead to better decision making done by municipalities, whether to build a new crossing or add some safety features or how it is possible to change an established behavior that is dangerous or inappropriate. Have a look at the report in the Danish TV SYD. We at RCE have been working passionately on transforming UAVs into a game-changing technology for advanced traffic flow monitoring, opening a completely new market within the UAV industry. 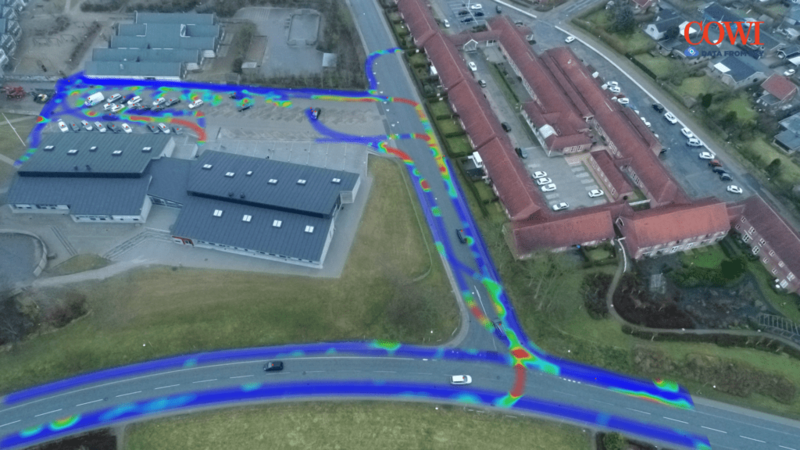 As the most advanced solution for traffic monitoring using aerial platforms today, DataFromSky has revolutionized the process of traffic data collection and analysis and unlocked new possibilities in the analysis of microscopic traffic behaviors, such as capacity evaluation and detection of risky situations – near accidents. 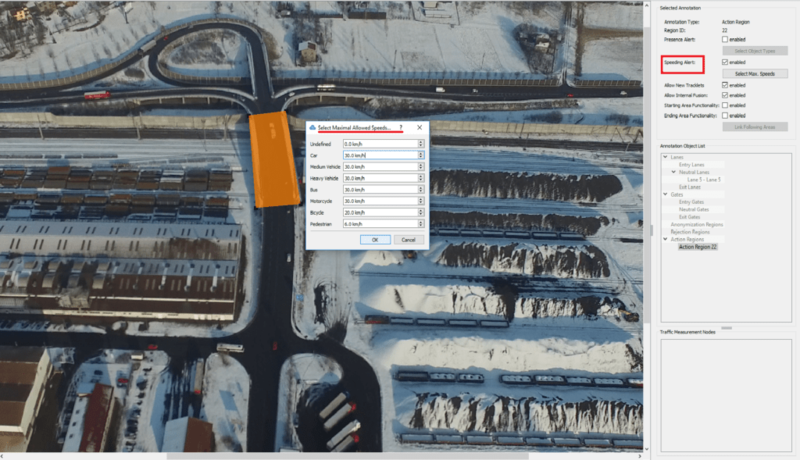 Thanks to the focused development and collaboration with our partners, DataFromSky has grown into something more than a mere tool for traffic inspection. The analysis of thousands of hours of aerial video footage has given us a unique position in the market due to the number of challenges we had to tackle, driving us to create the real Aerial Artificial Intelligence – AAI. The past few months have seen us working tirelessly on massive parallelization and optimization of AAI with a sole goal in mind – to take DataFromSky to realtime and thus create a brain for the smartest drones ever. The police drone – let’s change the game! However, this goal is too big for us to accomplish on our own. We focus on developing technologies and ways to easily implement them. Together with our partners, we have been pooling our resources to create solutions customized to the needs of our customers. And now we are working on something big – the police drone – and once more looking for partners who will use our technologies to gain a competitive advantage. Let’s take DataFromSky to the next level. Let’s create a new market together. For more information, please send us a direct request. DataFromSky analyzes busy traffic in India! Take a look at our latest traffic analysis coming from India! 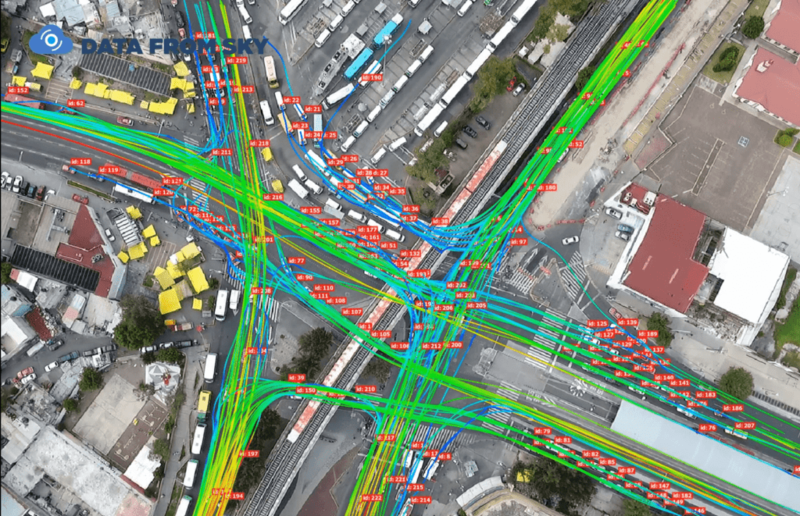 DataFromSky has again proven its capabilities by carrying out the analysis of a very busy intersection in the city of Gururgram in India. The traffic flow was 507 tracked vehicles and motorcycles in just 1,5 minutes long video sequence; with regard to that, the average flow would reach up to 20,000 vehicles per hour! Another feature that is worth mentioning and you can notice it in the video is the permanent blurring of some parts of the video. From now on, you can permanently blur the input video directly in the DataFromSky Viewer! In the picture below, the Origin-Destination matrix is showing the most used routes. 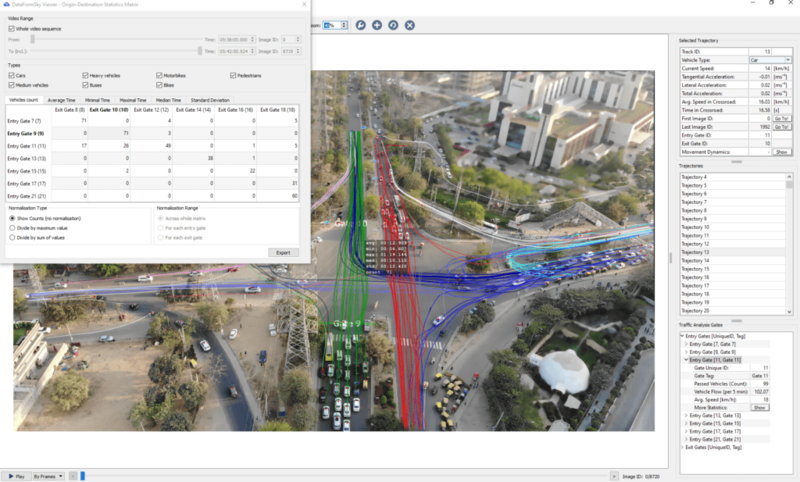 Are you interested in such traffic analysis using the most advanced software for traffic data extraction DataFromSky? Do not hesitate and contact us for an inquiry. Safety analysis using data from 8 drones at once! Another great project has been accomplished, among other things, thanks to DataFromSky analysis! DataFromSky has made a traffic study of a corridor in the city of Fairfield in Connecticut, U.S.. The data were used for an extensive Safety analysis of the whole corridor called Black Rock Turnpike. 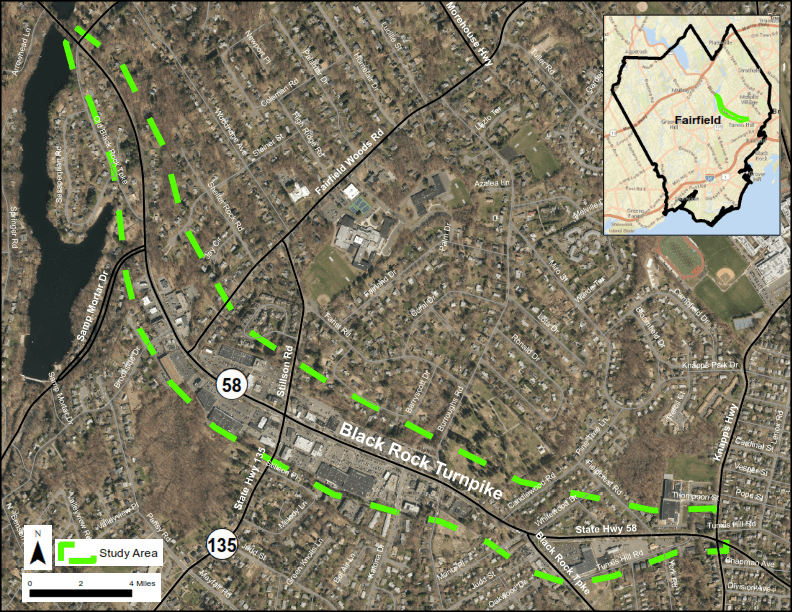 The study, created by The Connecticut Metropolitan Council of Governments (MetroCOG) and FHI, identifies strategies to create a safe and attractive pedestrian environment, a robust infrastructure for bicyclists, and linkages between residential areas and the shops, businesses and restaurants along Black Rock Turnpike. Black Rock Turnpike is a major arterial that serves one of the city’s largest business and commercial districts. According to the estimates, approximately 20,000 vehicles utilize this corridor every day. As the results of the analysis show – although Black Rock Turnpike has a posted speed limit of 50 km/h (30 miles/h), the average speeds are between 55 – 65 km/h (35-40 miles/h). The road widths, speed, high traffic volume and numerous curb cuts create an unsafe and uninviting pedestrian environment. Click on this link to read more about the whole project. However, what is truly remarkable about this analysis is the method how the data were recorded and analyzed. To be able to cover the whole corridor, which is roughly 1,3 km in length, up to 8 drones recording at the same time were needed! This allowed us to analyze the corridor as a complex scene, obtain the complete trajectories of vehicles for the whole analyzed route and create the detailed Origin-destination statistics! What were the key conditions for the successful analysis? New video analysis comes from Czech Republic and measures the speeding! In this demonstration survey, we tracked 204 vehicles which traveled 114 kilometers in total, averaging 555 m per vehicle. The average speed was 34,5 kph. The video is displaying the sections with maximal speed allowed and highlights vehicles that have exceeded this speed. In the DataFromSky Viewer, you can create such a measured area simply using a polygon, where you can define the conditions under which the alert should appear (e.g. to which categories of vehicles does the rule apply, speed range etc.). Do you have a video you want to get analyzed? Send us an inquiry and we will create an advanced traffic study right away! Contact us directly at this link. Another great move and improvement of DataFromSky – take a look what the software is now capable of! We can detect and track people even in very crowded environment, reaching the accuracy of detection over 99 %! The following video is a part of a project supported by EU programme Horizon 2020 called “Study of the individual and collective behavior of people in large-scale events”. 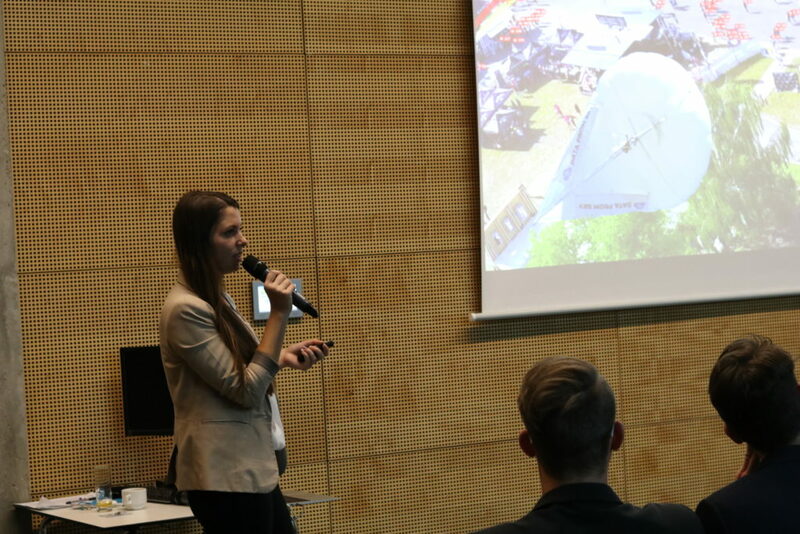 The objective is to extract the trajectories of all individuals and to create a pedestrian behavior model for the crowded environment based on the real data from DataFromSky analysis. Keep a close eye on our website and social pages to follow our progress (Twitter, Facebook, LinkedIn and Vimeo)! 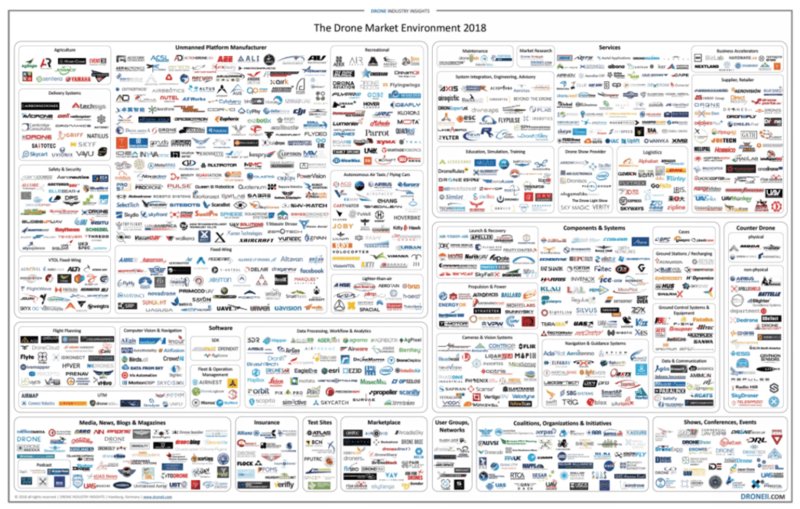 We are proud to announce, that DataFromSky is mentioned in the Drone Market Environment Map for 2018, among the companies and people that are set to have the biggest impact on the drone market in this year! The map includes around 1000 companies and organizations in 12 main sections, that will truly drive and define the drone industry. You can find DataFromSky in the Software section – Computer Vision/AI & Navigation. To read the article or see the whole map, click on this link. 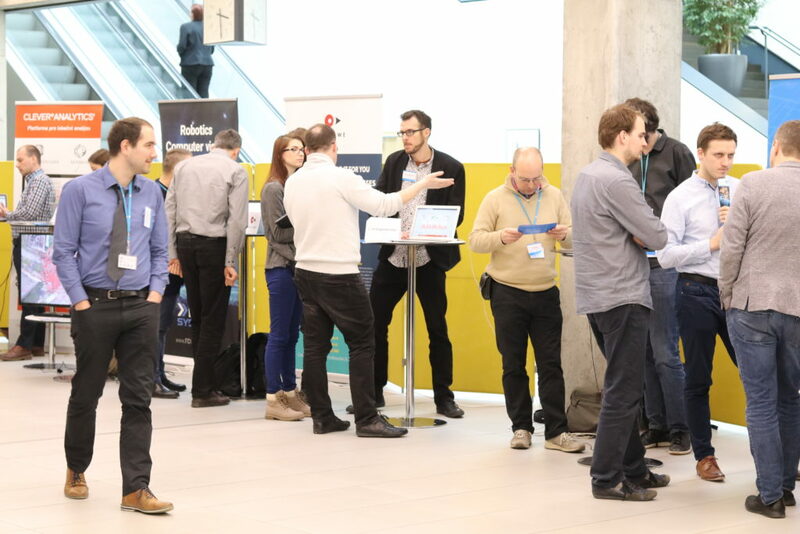 On January 10-11, Transportforum – the Nordic region’s largest annual conference within the transport sector, will be held in Linköping, Sweden. At the conference, researchers and stakeholders meet for knowledge sharing and benchmarking. COWI, our partner in the Nordic countries, will be present with a stand (number 28) and give several lectures. On Wednesday January 10 at 15:30-17:00 Mathias Sdun, Chief Specialist at COWI, will talk about risks associated with bus stops based on analyses conducted using DataFromSky (read our recent article). Mathias will also explain how DataFromSky analysis can give us detailed information about road user’s behavior before some accidents really happen and thus give us the possibility to act preventively. For more information click on this link and take a look into the video below, displaying some relevant traffic data.